Ladies and gentlemen, let me tell you that I have been planning to â€œDanceâ€ again a year ago.Â Every time I think of my broken dream as a dancer, I often say to myself â€œMaybe I should Dance Again.â€Â And, it ends thereâ€¦ I didnâ€™t really commit to finding dance class or doing something about it. I thought I stopped dancing thereâ€¦ It was in grade 6 that this dancing thing took over my life. In high school, I continued dancing and competed for NOPSSCEA again. 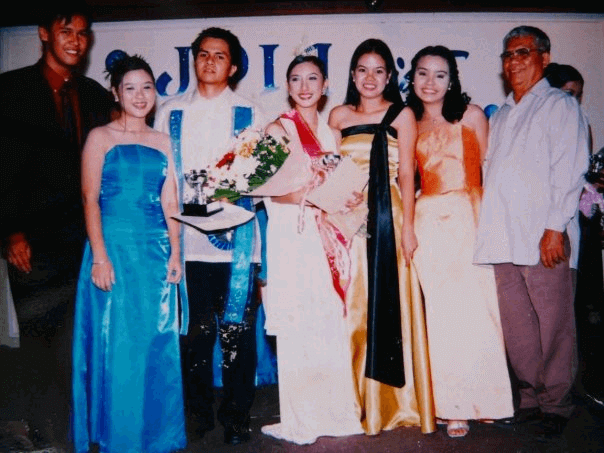 Okay, nobody knows except my college friends that I joined a Beauty Pageant lol. I must admit, I gave my all on that danceâ€¦ it was a mixture of ballet and hiphop. I was in tearsâ€¦Â I was so HAPPY! Notice the picturesâ€¦ they were just scans. In my days, digital cameras are way expensive and I couldnâ€™t afford it. ERGO:Â Itâ€™s as if it never happened! What evidence would I show to my grandchildren?!? My solo danceâ€¦ nobody captured it in video or even in stills. I gave up my crown as a dancer when I was in my second year of collegeâ€¦Â I had a lot of dancing engagements supposedly and I was supposedly a â€œleadâ€ dancer in many competitionsâ€¦ But I was stupid and I gave up dancingâ€¦ Now I let my best friend in college take over all of my dancing roles. Who got the Special Literary Award for Dancing? I need to move on from my horrid college memories and replace them with good ones. Right now, my current boyfriend is very supportive of me dancing again :)Â Iâ€™m thinking â€“ any dance class will do!Â I love any dance! Most important thingâ€¦ I am a performer.Â I love being on stage and perform. Do you also plan to change something in your life? Perhaps becoming a more independent woman? Want to go to school again? Doing what you are passionate about? Moving on with your career? I know there must be somethingâ€¦ Why donâ€™t you join all other women committed to changing for the better.Â Not only will you be on your way to a new you, you would also get a chance to win Gift Certificates and other prizes if you post your commitment to change on I Commit To Change Facebook page. You know what to doâ€¦ Are you ready for change within yourself? I totally feel you on this! Ako rin. 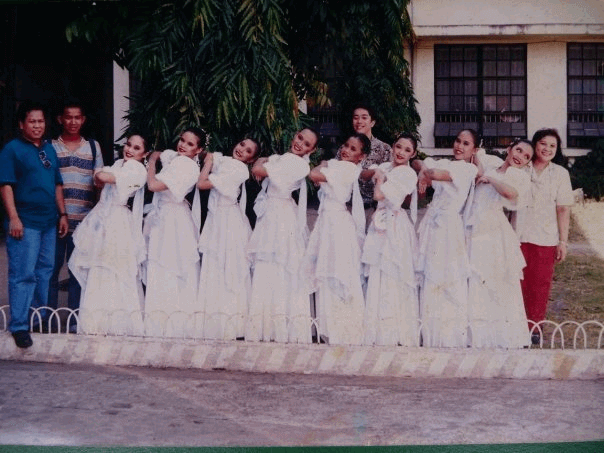 I miss the stage I was into theatre when I was in grade school (my family never watched kasi laging bz), I took ballet classes (but no evidence either kasi they didn’t watch). 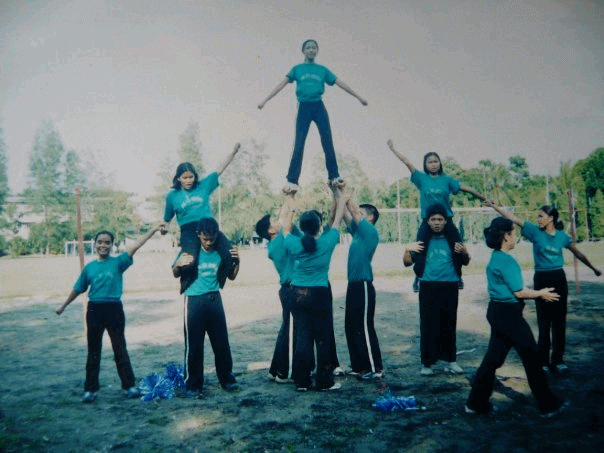 4th year HS, I auditioned for the cheerleading squad and got in! Tapos nag Jazz lessons pa ako. hay..
Where are you taking classes? Plano ko magbelly, latin fitness, and maybe pole. hehe. Sana may samba malapit dito. Si Kristel game rin!!! Game ka tangela? maghahanap ako ha!!! Sabi mo yan!!! I used to dance a lot too when I was still in elementary 😛 feeling ko ang galing-galing ko at ako dapat lagi leader kapag dance ang PE namin! HAHA!! Sa lahat ng school programs, nandun kami 😛 When I graduated from elementary, that was the end of my dancing. Go for it Hannah! Dance like nobody cares. It’s people with passion like you that makes this world a beautiful place. For ages now I’ve been looking for ballroom dance classes here but it’s so hard to convince Uncle Pat to go with me still hoping though. Good Luck!!! very inspiring.. i like it. I love your “I Commit to Change” story. Follow your heart and you’ll be happy. Good luck! Wow, I felt like I was listening to a motivational speech and I can almost feel the energy vibrating everywhere…the determination to reach a goal. As to the pictures of your high school years, now that you’ve scanned them, they’re now digital. But of course, there’s no substitute for videos. Still in Surrey but hopefully soon….but for now follow your dreams!! so true!!! Thanks for the push dear Jess mwah!